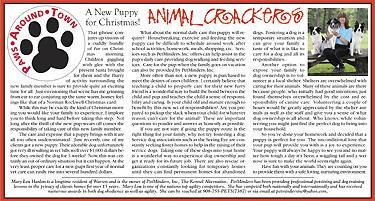 © 2011-2013 PetMinders, Inc. Mary Lou is a regular columnist in the Warren Showcase. 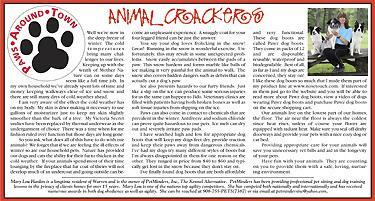 She shares her insight and humorous stories about animals and how they enrich our lives in her, "Animal Crackers" column. Click on Article Image to View PDF File. 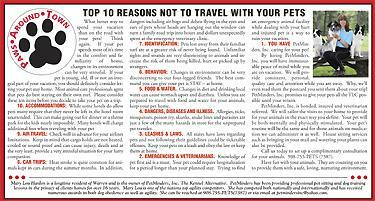 Call PetMinders, Inc. at 908-755-PETS (7387) or email us at petmindersinc@yahoo.com to schedule a complimentary consultation.